RightSoft Business Solutions provides professional services relating to MYOB business software. We have various type of business software including accounting, payroll and point of sales software. With more than 13 years of MYOB experiences across Asia Pacific region we believe our consultants are able to implement the right solutions to our client. We have a very strong technical support team which can provide almost instant solutions to our client over the phone. 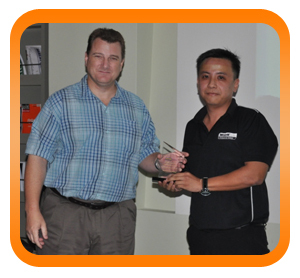 Recently our company received an award "MYOB South Asia 2009 Excellence Award Emerging Partner Award" from MYOB South Asia. For the year 2009, we had the most improved sales growth amongst the 20 and more over MYOB Professional Partners. Currently we have 2 offices operating in Malaysia and Singapore respectively.